According to some people, we should all be afraid because we are all going to die from a vaccine preventable disease meaning die from a virus. It is all about selling vaccines. Pharmaceutical sales representatives, who work with commissions, understand the need to sell! Sell! Sell! Ok so let us all shake in our boots petrified about living in a world without vaccines. Can you imagine if pediatricians would stop injecting mercury into six-month-old babies, what kind of world we would have? The flu vaccine in the USA still has thimerosal (organic mercury) in the vaccines, a known neuro-poison. In most parts of the third world, the majority of vaccines given to the poor are laced with this mercury preservative. The last thing vaccinationists (most pediatricians) worry about is people and their suffering. Who are these two experts and why should we listen to them? Trust them? Respect them? I do not think so. I have been living in Brazil for 25 years and there have been some yellow fever scares but hardly a single case of confirmed yellow fever in all these years. Certainly no epidemic. 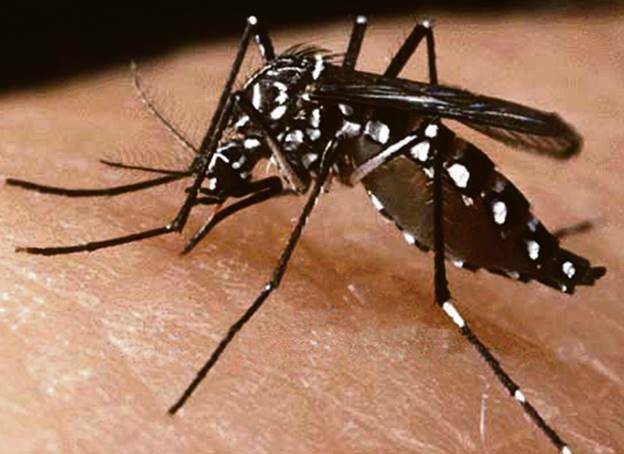 Though the Aedes aegypti mosquito thrives in tropical climates and can carry the Zika virus, yellow fever, dengue fever and chikungunya, the only real problem we continue to have is with dengue fever. We all remember the total hysteria over Ebola and just recently about Zika. Doctors are now reporting that it was not the Zika virus at all that was responsible for the brain deformities seen in Brazil. Doctors are now naming Monsanto’s larvicide as the cause of the Brazilian Microcephaly outbreak. However, of course, they never give up with the idea that viruses are the cause of everything; and chemical poisoning just never comes up on their radar. A new scientific study carried out by the New England Complex Systems Institute (NECSI) is also casting doubt on the assumed connection between the Zika virus and microcephaly. The study was prompted by the fact that no similar epidemics of microcephaly are being found in other countries hit hard by the Zika virus. Of the nearly 12,000 pregnant women with clinical symptoms of Zika infections studied in Colombia until March 28, no cases of microcephaly were reported as of May 2. In an article called A Yellow Fever Epidemic: A New Global Health Emergency, published in the journal JAMA, Georgetown University doctors warned: “The looming threat of a severe yellow fever vaccine shortage exists amid epidemics in Africa and potentially in Latin America and Asia.” We always have vaccine shortages meaning these experts are crying aloud for production to be amped up and more vaccines delivered into peoples’ blood streams without a word of warning about the dangers of vaccines. They assume always a positive outcome and never tell us about the side effects that even include death by injection. The side effects that doctors long have known about, such as fever-caused seizures and occasional brain inflammation are risks parents take every time they take their kids in for shots. “All health care interventions, however, carry the possibility of risk and vaccines are no exception,” said pediatrician and bioethicist Dr. Ellen Wright Clayton of Vanderbilt University, who chaired the institute panel. Millions of people are due to be immunized, as this is the only effective way to protect people against the disease, normally spread by mosquitoes. However, a shortage could “spark a health security crisis” and the WHO should consider reducing the dose to make the vaccine go further “given the world’s vital health security interests”, the academics wrote. Are we are supposed to trust the CDC? Not on your life, certainly not with your life or your loved ones lives. Many consider the FDA to be the home of the medical mafia. It is hard to say about the CDC, which seems to be even worse. In 2010, two Merck virologists filed a federal lawsuit under the False Claims Act against their former employer, alleging the vaccine maker lied about the effectiveness of their mumps vaccine (which is part of the trivalent measles, mumps, and rubella (MMR) vaccine). The whistleblowers, Stephen Krahling and Joan Wlochowski, claimed they witnessed "firsthand the improper testing and data falsification in which Merck engaged to artificially inflate the vaccine’s efficacy findings." We know that vaccines are dangerous and many are literally forced to take them and give them to their children through many subtle and not so subtle pressures and manipulations. Vaccine damages can be life-long and cost a fortune to family and state. Medical officials still say there is nothing to worry about but a looking under the hood of vaccine dangers and damages tells a completely different story. Parents around the world need to stop bringing their children in to pediatric doctors except for broken bones and stitches and such because the chances are high that these doctors will inflict serious harm on their young charges. The majority of pediatricians love their poisonous needles and take every opportunity to inject no matter what the condition is of their young patients. Certainly, they do not read the hundreds of published medical studies documenting vaccine failure and adverse effects, and dozens of books written by doctors, researchers, and independent investigators that reveal serious flaws in immunization theory and practice.